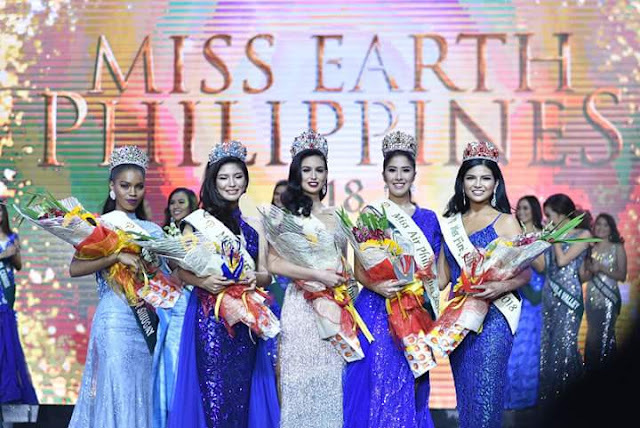 Congratulations to more beauty queens that will soon be recognizrd again as ambassadors of not only beauty but also of advocating Earth-friendly advocacies. The new queens for Miss Earth Philippines were crowned on May 19, 2018 at the Mall of Asia (MOA) Arena in Pasay city. From the answers of Miss Earth Philippines 2018 queens, is it still really very vague how we could prevent other beaches to become degraded like Boracay? I heard no direct-to-the-point solutions...and while we wait, other beaches are being damaged as well. What we need are more proactive leaders, not reactive. We meed those who have visions ...for long-terms goals, and would have the foresight to act now even before a disaster (like destruction of the ecosystem) strikes.